Relationship breakdown and family disputes can often be traumatic and emotionally exhausting and we can provide you with legal help and support you need at what may be a very difficult time in your life. Divorce nullity and judicial separation. 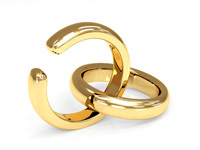 Matrimonial property and financial claims. Disputes between cohabitees (non married partners) and applications under the Trusts of Land and Appointment of Trustees Act 1996 (disputes over the future of joint property where you live) and equitable rights and estoppel cases. Children Act applications for residence, contact and specific issue orders. We would be pleased to arrange an initial fixed-fee consultation at which we can advise you upon your rights and remedies and to discuss the steps we can take on your behalf. If at all possible, we will endeavour to negotiate a settlement of disputed issues with your (former) partner in solicitors correspondence or if not, we will advise you fully on proposed ancillary relief proceedings to deal with division of matrimonial assets and the possible outcomes and costs implications.